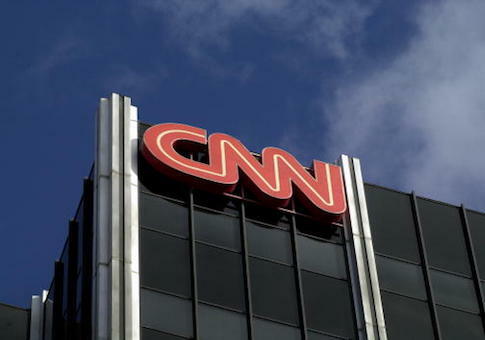 CNN President Jeff Zucker signed a deal that will keep him running the network through the 2020 election. Zucker, who joined CNN in January 2013, signed a deal months ago to keep him at the network, Vanity Fair reports. Zucker has become an object of derision to many on both sides of the aisle for giving then-candidate Donald Trump near constant coverage during his 2016 presidential campaign. Critics of Trump argued the coverage gave the candidate the spotlight and may have unintentionally bolstered his chance at election, and his supporters voiced opposition to the adversarial nature of the coverage. The network became a favorite target of Trump's "fake news" accusations, continuing Trump's rocky history with Zucker, which dates back to when Zucker ran NBC and Trump was starring in "The Apprentice." Trump recently said, "I made Jeff Zucker," according to a friend who spoke with Trump shortly before he departed for the G7 (Group of Seven) Summit. In an April tweet, he called the CNN president "Little Jeff Zucker." Details of Zucker's deal became public a day after AT&T's acquisition of Time Warner, which owns CNN. Vanity Fair noted the deal is, therefore, likely a relief for many the organization. Zucker’s future at CNN has been one of the biggest question marks hanging over journalists at the network ever since they began bracing for life under AT&T many months ago. "People should be worried," a CNN reporter told me back in October, before the D.O.J. suit was filed and it looked like the acquisition was poised to clear regulatory hurdles any day now. "If he were to be forced out or decide to leave, it would be a severe blow to the newsroom." This entry was posted in Culture and tagged CNN, Donald Trump, Jeff Zucker. Bookmark the permalink.